Canada student loans: How to repay it fastly? Canadian students loans is an important issue in our country today. The Canadian Federation of Students evaluates the average debt of students to 28.000$. Usually, students take more or less ten years to repay this amount of money. A student loan can sometimes appear as a source of stress or can contribute to creating a stressful environment. One of the best ways to avoid this situation is to find a solution to repay it fast. Of course, you cannot pay back the amount of money you borrowed in a few weeks but here are some smart and useful tips to help you get rid of your debt faster than you could think. From now and since you are trying to save, your new motto is ‘”Every penny counts!”. The first thing you should absolutely do is to prepare a monthly budget. For example, you can create a budget planner to start your savings. It can help you plan all your expenses of the month in the blink of an eye. The most difficult part is to be rigorous and responsible and to try to stick with the plan. By being proactive and by scrupulously following and analyzing your inflow and outflow of money, you will eliminate all the unnecessary expenses. You will also consider that some of your monthly spendings are too high and could be used to help you repay your student loan. Your monthly budget will help to have an overview so you can easily spot the expenses you could cut. For example, you can eat out less often and cook at home more. You can also try to negotiate a new plan for your cell phone. Sometimes, when you mention a better phone plan from your operator’s competitors, you might end up the call with a cheaper phone and internet package. Or you can also simply plan saving goals every month in order to have a goal and to stay motivated. If your primary goal is to save money, don’t forget to keep up to date with all the offers at the supermarket or to buy clothes only during the sales period. You can also save money on your grocery shopping. Take a look at our previous article to learn some tips that can help you be a smart shopper at the supermarket! At first glance, these small economies will not seem very relevant to you. But in fact, they end up weighing heavily in your monthly budget. Every little saving will be essential. It eliminates unnecessary expenses and allows you to save money in the long run while you creating safe and responsible consumption habits. Even if your studies are over, you could keep on living your student way of life for a few more years, still aiming at saving money. Indeed, you can continue to live under your parent’s roof or considerate living with roommates to save on expenses. Do not hesitate to combine several part-time jobs if you have the possibility. It can sometimes be too complicated. However, if you haven’t found a full-time job immediately after your graduation, you can easily have two or more part-time jobs during a limited time period: work more to earn more! If you are lucky enough to find the perfect job immediately after being graduated, you can consider an activity as an additional income. For example, if you have the ability to speak several languages, you could realize translation works. First, take care not to increase the amount of your loan by repaying it during the allocated time since any delay could cause penalties. You may have obtained a federal or a provincial loan. In these cases, you should examine the possibility of a loan forgiveness. The Canada Repayment Assistance Plan is one of these programs. It helps graduate students who are having trouble paying their loan back. Each provincial state has different programs, do not hesitate to request for more information. for example, Ontario Student Assistance Plan contains twelve different programs available. Ontario for example records. Some programs are also dedicated to certain professions. Doctors, for example, can obtain a loan forgiveness up top 40.000$ and nurses can obtain a loan up to 20.000$. As a student, you also have the possibility to claim a tax credit to compensate the cost of schooling. Usually, this credit can reach up to 15% of the number of your school fees. A tax relief will enable you to save money in order to repay your loan faster if you chose to affect this credit to the reimbursement of your loan, and that’s what we absolutely advice you to do! With a federal or a provincial loan, you can also benefit from another tax credit. You can ask for a credit of the amount of the interest paid the previous year. Once again, try to spend wisely the money you are saving and do not to waste it. The most helpful advice you could receive is that you should absolutely start repaying your loan as soon as you possible. Don’t wait for the first date of your student loan repayments scheduled to start to reimburse it! It would be a good start for you to deposit money every month on a saving account as soon as you can, even before you get graduated. In this way, you will avoid this unpleasant feeling of desperation when you end graduated but with an enormous amount of money to pay back. You also have to know that when you graduate, you can benefit from having a six month grace period. For some of you, this time could be necessary but if you have the possibility to reimburse before those six months, do not wait! You will finish repaying your loan six months earlier than what was planned. The total amount of money you have to reimburse will be reduced. Indeed, even if this period of grace is established to let you the time to find a job, you have to pay the interests every month (note that there are interests during the grace period only with federal loans, not with the provincial ones). Have you ever receive an unexpected amount of money? You probably are, whether it is money you receive as a birthday gift or a bonus from work or even money you have saved during the previous months. Everyone would probably want to use this money for discretionary spending, have fun and to enjoy ourselves, but keep in mind that the more you reimburse, the sooner your loan will be an old history! For special occasions, such as your birthday, do not hesitate to ask for money rather than for a gift. Your family and friends are understanding, they will probably be happy to help you with this situation. Even if the money you save to pay off your student loan is only small amounts, it does counts! When you keep on adding up all those little amounts of money for saving, you are settling new good habits regarding the way you manage your personal finances. An accurate and meticulous management of your personal finances is the key to gaining financial autonomy, achieving your goals and making your dreams come true. You will definitely see the difference in the end. If you manage to save even 50$ per month, you are able to increase your monthly payments with this amount of money. In addition, by increasing your monthly payments, you will get your student loan faster and get to reduce its rate interest. Indeed, if you borrow 25.000$ with a 5.5% interest rate, during a period of repayment of, more or less, 9.5 years, you will pay a total of $7,555.88 in interests at the end of it. By increasing your monthly payments, you will definitely be able to reduce this extra money spent for the interests. We can all agree that paying off student loan debt isn’t fun at all. But, by following all those smart advice, you will probably be able to save money easily. Finally, there is no need to panic concerning a student loan. 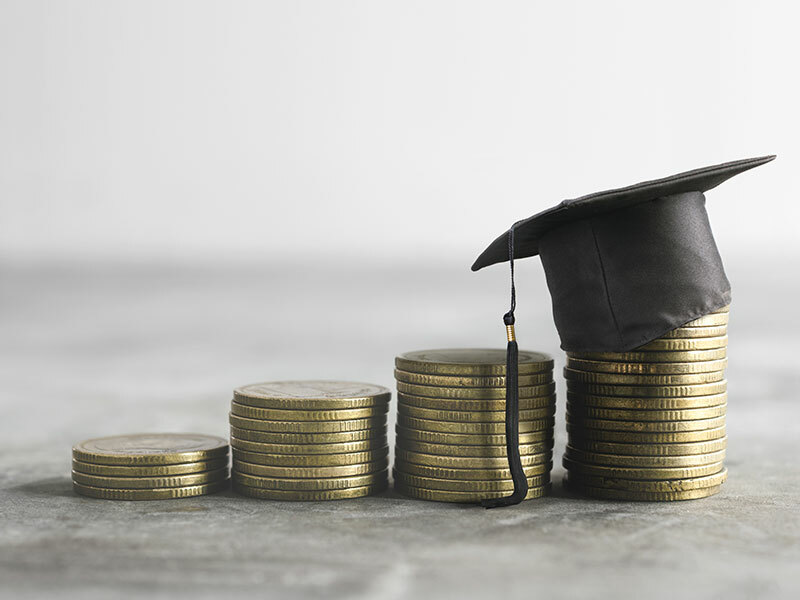 There are a lot of people that are in the same situation as you, and with all those advice we want students to understand that with some efforts it is possible to repay your loan faster than what was planned. Sometimes, it is even possible to reduce the amount of your loan when you are able to repay it before the repayment schedule. You will certainly have to make sacrifices to successfully pay off your student debt. But what are these sacrifices represent compared to the joy you will feel when you will realize that you have paid off all your student loan? It is not very much! Don’t hesitate to talk about this situation and to get advice from your family, your friends or even a financial advisor. Students from all over the World feel concern with the issue of student loan, you can read these stories of American students who paid their loan back in a ridiculously slight lapse of time. Previous Previous post: How to create a budget planner to jumpstart your savings? Next Next post: How to get out of debt before you retire?